I have lived on many a building site and let me tell you that it is not at all glamorous… my Instagram pics may suggest that I’m having a great old time but constantly walking dirt, dust, concrete, saw dust and everything else into the house is tedious to say the least. Which is why I am so lucky to have been able to review the Hoover React Advantage Handstick from Godfreys and I promise you that when I say that it is a life saver, I mean it! How did I ever get through the day not having a cordless vacuum cleaner? It is actually a miracle, especially for someone who has to vacuum multiple times a day… that dust just doesn’t give up! Apart from it being cordless, my favourite feature is the FloorSense™ Technology. Floorsense means that it instinctively detects a change in floor type and changes the brush roll speed automatically for optimum cleaning performance. Tiles, floorboards, carpet, concrete - it just knows, and isn’t convenience all we ever want these days?! Easily and effectively tackle deeply embedded dirt and dust with the specially designed WindTunnel SurgeTM, it’s quite amazing how much this beast picks up (especially when you thought your carpet was actually quite clean!). 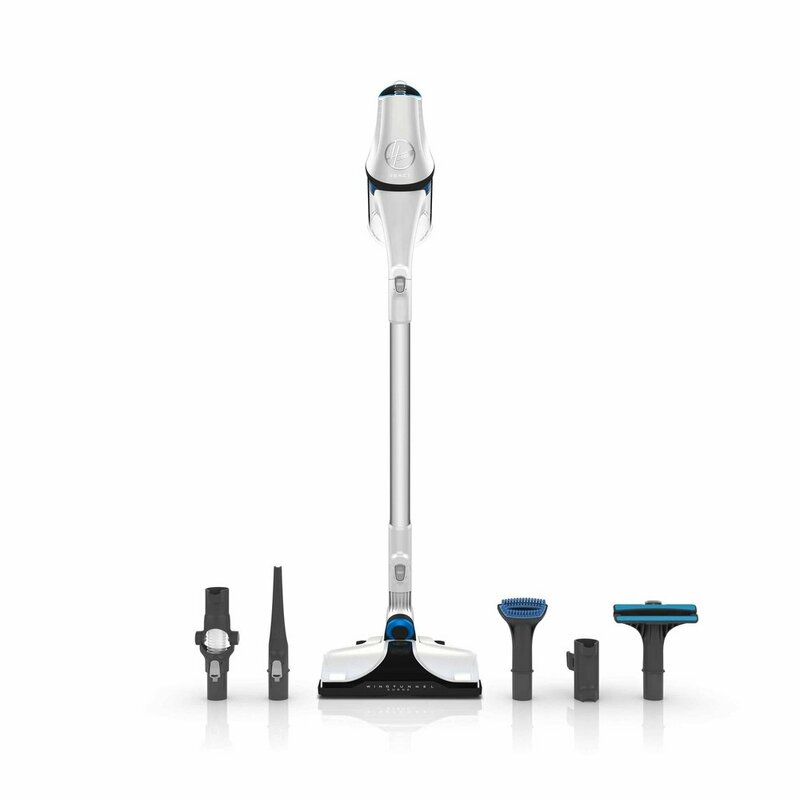 It has a 23 minute battery life to easily vacuum your house - and as a special offer, for a limited time when you buy a Hoover React Advantage Handstick you will also receive a bonus battery for FREE valued at $149.95! So you will always be charged and ready vacuum!